<< Back Early American desk set. This is a real bargain and will be sold very quickly. I estimate the date at around the late 1930s. This is a lovely little American desk telephone. 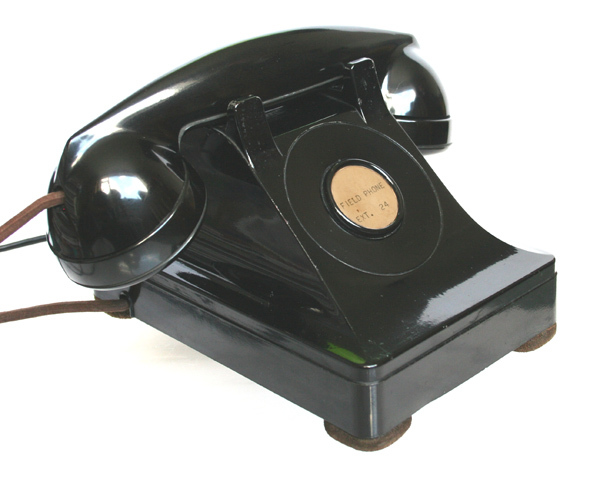 It has a painted metal case and Bakelite handset. I have fitted an electronic microphone and a GPO specification round plastic line in cord. It is in very good original condition and has not been repainted. It has a few paint chips but only very minor and great for its age. 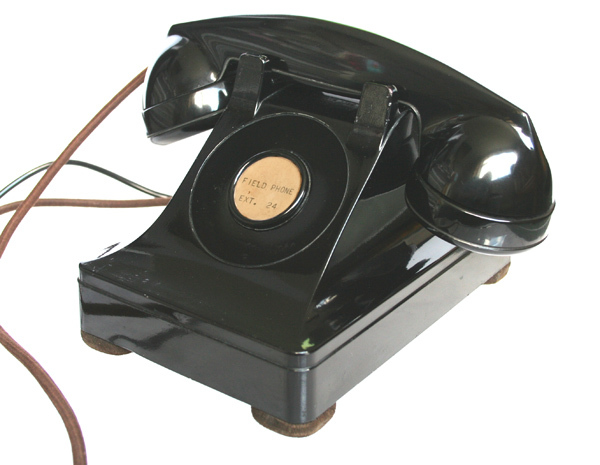 I believe this model was made in metal in 1936 but I am no expert on American telephones. It has no dial and so can be used to take incoming calls or you can lift the handset dial with your digital and then hang the digital up to make outgoing calls. The bell sound is very loud and distinctive. 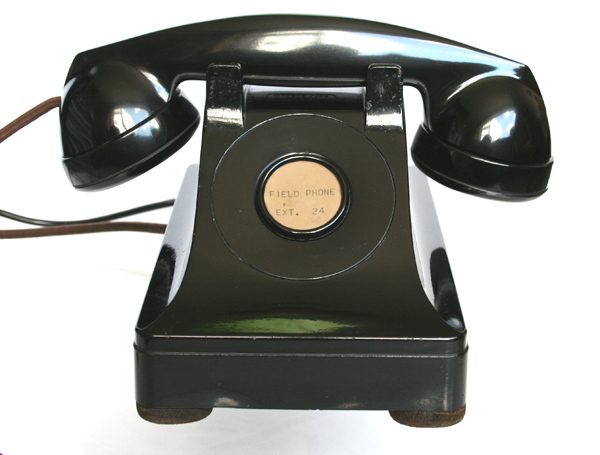 It retains the its original braided round handset cord and the centre label is what it came with.